The action got underway shortly after the schduled start at 6.31 and Guy Martin and James Hillier were the first to set off down Glencrutchery Road, both on their Superbikes, with Gary Johnson and Ryan Farquhar behind them, Ian Mackman and Michael Dunlop, Ian Lougher and Adrian Archibald, William Dunlop and Michael Rutter and Ian Hutchinson and John Burrows the next pairs. All were on their 1000cc machines with the exception of Lougher and William Dunlop who were Supersport mounted. Conor Cummins was also back out, this time on his Superbike for the first time this week. Despite reports of low cloud over the Mountain, speeds were unaffected and Martin continued to lead on the road with an opening lap of 128.448mph with Hillier crossing the line soon after at 127.811mph, his best ever lap around the Mountain Course. Johnson was next at 127.287mph with Anstey the quickest Superstock bike at over 126mph. John McGuinness was quickest through the Sulby speed trap at 190.1mph, posting a lap of 127.919mph but Cameron Donald who was quickest at 129.075mph with William Dunlop the fastest 600cc rider at 124.711mph. Johnson, Farquhar, Donald and Dan Stewart pulled in to make adjustments as the newcomers continued to impress, notably Jamie Hamilton (118.563), Lee Johnston (116.57), Jimmy Storrar (116.55) and Karl Harris (115.820). Alessio Corradi and Daniel Hegarty recorded their first ever 120mph laps but Roger Maher was an early retirement at Sky Hill whilst Paul Owen had stopped to make adjustments at Kerromoar. The majority of riders went straight through for a second lap and Martin improved slightly to 128.866mph although Hillier was slower at 127.165mph. Michael Dunlop improved his pace to 127.546mph and McGuinness was the first to break the 130mph barrier this week at 130.079mph despite later saying he'd lost a few seconds passing other riders. 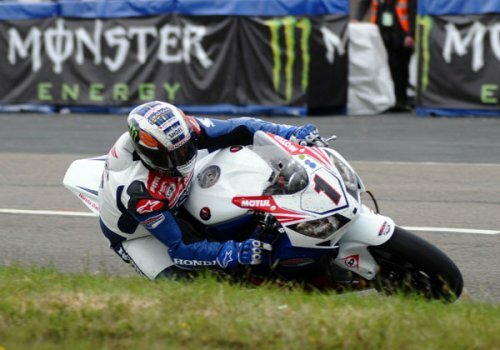 Ian Hutchinson posted 126.760mph whilst Stewart and Simon Andrews were also going well on their Superbikes at 127.453mph and 127.376mph. Meanwhile, William Dunlop was flying on the 600cc bike with a lap of 126.184mph as Storrar and Johnston improved to 117.731mph and 117.527mph. 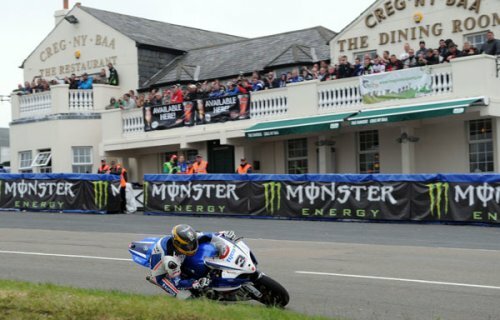 But Donald's second lap ended at Windy Corner with Ian Lougher stopping at the Bungalow. With a full session, riders took full advantage and were in and out on all their machines but as the night wore on, traffic became more of a problem and so lap times were down although Anstey put in a late flyer on his Superbike at 129.566mph. Australian ace David Johnson was also quick in the Superstock class at 124.648mph as fellow countryman Donald made his way back to the pits and returned to the fray with his Superstock mount. 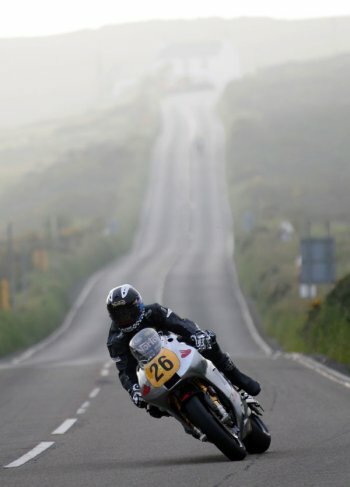 Ian Mackman was back out on the Norton as well, posting an almost identical time to Tuesday with a speed of 112.48mph. 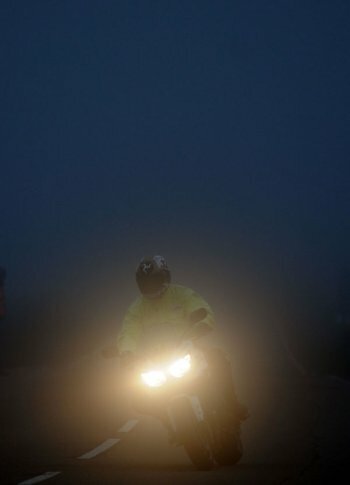 Unfortunately though, the mist began to roll in through the Douglas area as the session draw to a close and that resulted in the cancellation of the F2 Sidecar practice. George Spence (Guthries), Herve Gantner (Joey's) and Steve Mercer (Ballaugh) were all reported as coming off their machines. Spence was seen by a TM who reported him OK while Gantner was transferred to Nobles with a leg injury and Mercer was seen by a medic for a hand injury.